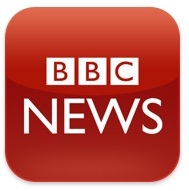 A new news app by BBC has been launched for the Android platform. The app supports all versions of the platform from 1.6 and above. You can download the app from the Android Market free of cost. Users can get the latest and breaking news from the BBC and their global network of journalists. Stories are arranged in categories including top stories, UK, world, politics, business, technology, health, entertainment & arts and sport. The app offers stories and video, and users can personalise the homescreen by adding and removing news categories to suit their interests. Follow the source to download the app.